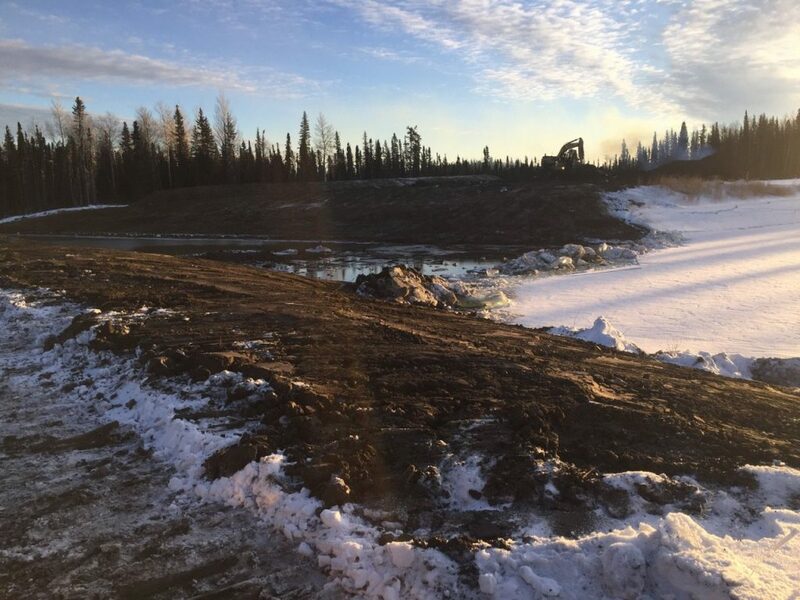 During the winter of 2017/2018, Nexen enlisted GNB to decommission 11 water pits in Fort Nelson. 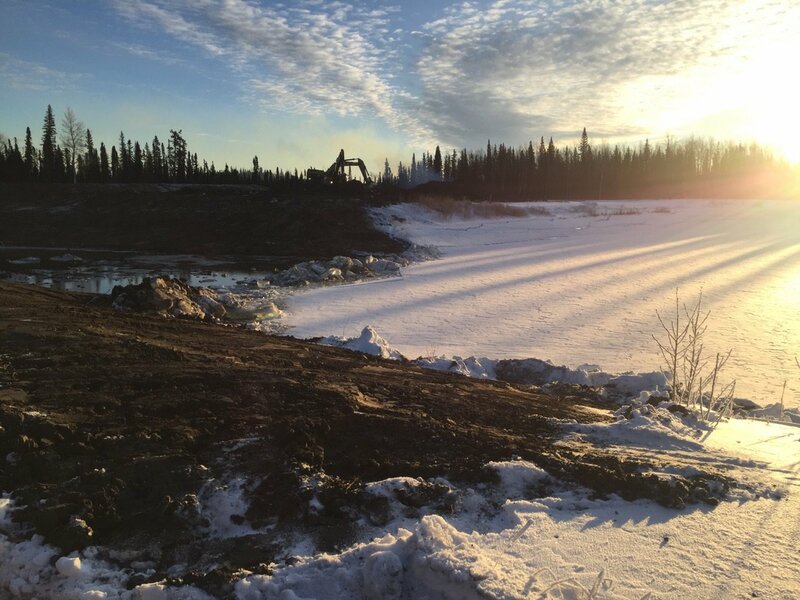 The job required a strict adherence to safety given the remoteness (150km northeast of Fort Nelson) and weather conditions of the job, as well as the size of the equipment on site (345 size excavators). Our crew worked 24 hours a day (12 hour split shifts) for nearly two and half months to meet Nexen’s deadline.